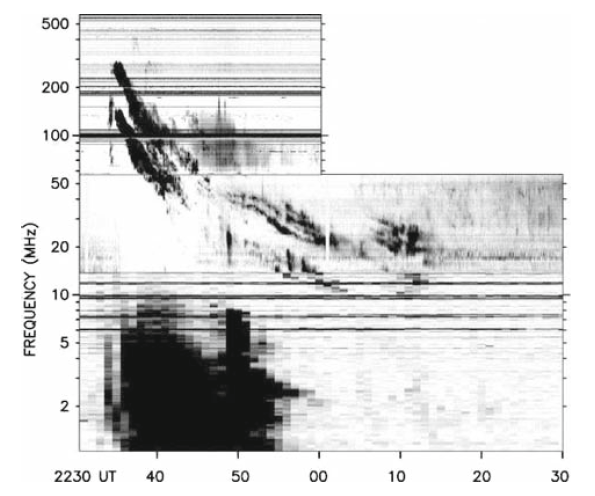 A review paper presenting the input of 65 years of radio observations has been published in the journal Astronomy and Astrophysics Review, October 2008 issue. The authors, Monique Pick and Nicole Vilmer, present first the historical context starting from the early 1940s and then proceed to show how radio astronomy has contributed to our knowledge in solar and solar-terrestrial physics. 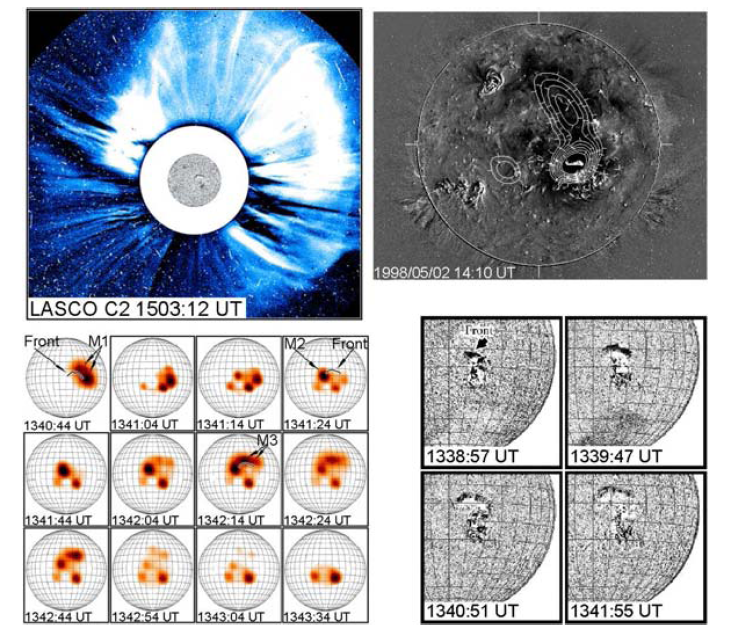 The review is focused on radio emission from flares and coronal mass ejections (CMEs), and their association with interplanetary magnetic structures (ICMEs). 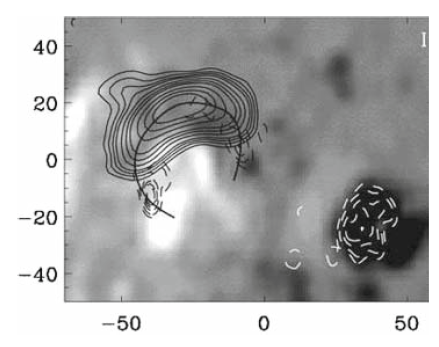 Radio diagnostics of energetic particle acceleration in the corona and in the IP medium are discussed. 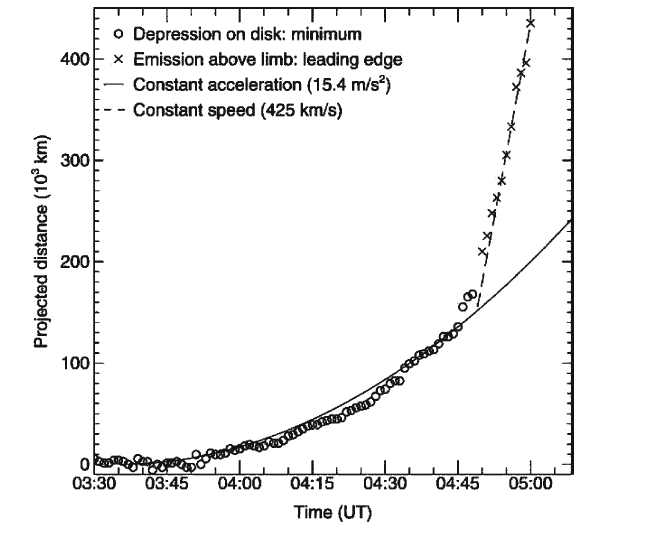 Space Weather studies that use radio observations as a tool of forecasting the arrival times of shocks near Earth are also reviewed, among other things.